'Trance Producer's Full Studio Kit' will change the way you produce. This huge bundle features 3600+ fully modificational sounds, that will be useful forever. It’s not just another sample pack to get bored of, it’s a full toolbox with everything inside, including MIDI files, presets, loops and samples, all grouped into folders labelled with BPM and key. You get everything you can imagine: basslines, synths, leads, arps, pads, vocals, snares, kicks, percussion, hi-hats, atmospheres, effects and completely everything. You will be able to use, remake and re-use these sounds for a very long time. It’s a one-stop station for a quicker workflow, that will make your life easy. Most of the sounds are similar to what the big artists use today and were recorded using Virus Ti and Nord Lead hardware. 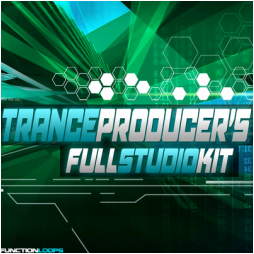 'Trance Producer's Full Studio Kit' will take your pain away and will give you pleasure! FOR OVER 3 MONTHS - BEST-SELLING PACK @ BEATPORT! All KEY & BPM labelled. WAV + MIDI folders compiled from: Twisted Reaction Vol.3 + 4 / PSYCHO Vol.1 - Vol.3 / Festival Trance 1 + 2 / Spirit Progressive Trance & Psy / Summer Trance / Essential Trance Percussion & FX / Sound of Boom / Extra unreleased material.